I had a startling welcome to Macedonia. The first thing I had to do – apart from paying the motorway tolls without having any denar – was to drive right across Skopje to the British Embassy for my meeting. Anyway, only one wrong turn. After my meeting and a scrummy roadside kebab, it was off south again towards Bitola. Another shock to the system – after an hour or so, it was onto the mountain roads. My 1,600cc Renault Megane was in 2nd gear at some points. Bitola was interesting – the Macedonian “capital” until Yugoslavia came along and decided it should be Skopje. Ohrid was beautiful. So was the mountain pass (up to 1,500m = 4,500’) which lies between them. Found your blog on VT forums. Thought I’d come and check it out. Did you make it to the VT meet this year? 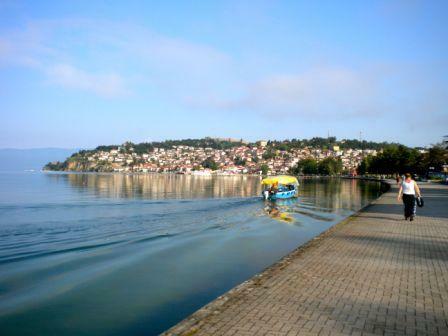 Ohrid looks stunning, great shot. 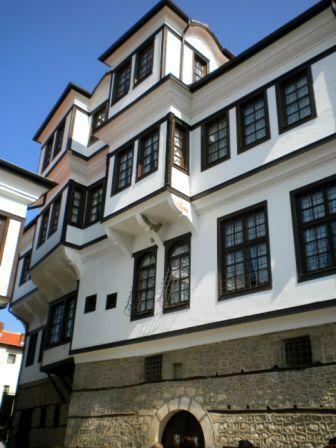 Hi – yes, Ohrid & Bitola were fun. So was Keti’s pre-meet in Belgrade. Always interesting to meet the faces behind the VT *personalities*. Busy with work at moment, but I’ll have a look at your blog when I get a minute.